When specifying equipment for open theatre-style kitchens, it needs to be functional, in terms of cooking food perfectly and not emitting too much waste heat, as well as looking good – and being easy to keep that way. Falcon’s latest product offering, the gas-powered Chrome Griddle is ideal for front-of-house cooking and has proven to be one of the real headturners of the F900 Series. Falcon’s F900 Series Chrome Griddle (model G9581CR) delivers on both looks and performance. The griddle plates are completely surrounded by a grease trough, which enables quick and easy cleaning of the plate, ready for the next menu item. The griddle is thermostatically-controlled, with a range of 90-270°C, to ensure that whatever is being prepared, from eggs or fish to steak and chicken, is cooked at just the right temperature. 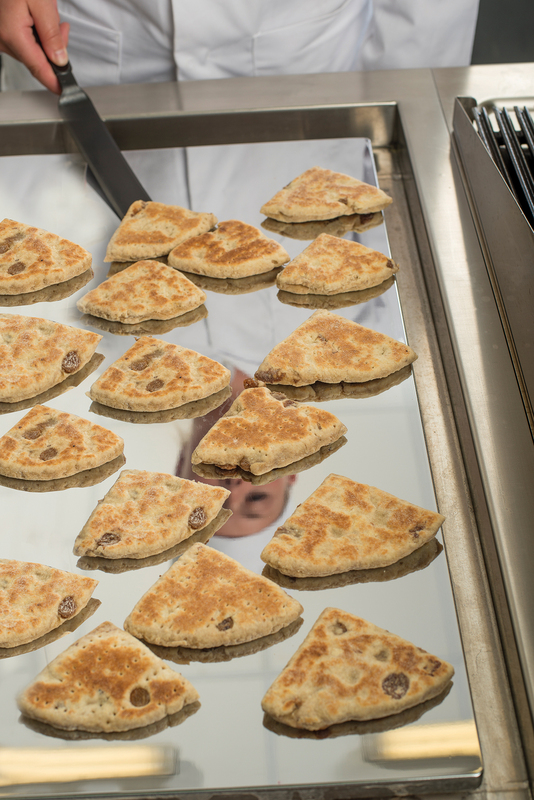 The chrome plate is particularly good for producing food items such as pancakes and drop scones to order. The cooking area measures 640mm (d) x 660mm (w) and the unit is constructed from 2mm Scotch Brite finish 304 grade stainless steel, making it robust and easy to clean. Laser cut right-angled edges enable the Chrome Griddle to be tightly joined to other F900 units using Falcon’s Dynamic Link System (DLS)*. This allows chefs to benefit from the flexibility and cost-effectiveness of a modular line with the looks and hygiene benefits of a one-piece top. The Chrome Griddle is supplied on adjustable feet, with fixed or mobile stands available. A 400mm wide version of this, the G9541CR, is also available, as are electric versions of both of models.